​MANVEL – Meridiana opened a new neighborhood located off Texas 288 and Meridiana Parkway in May 2018. Highland Homes plans range from 1,588 sf to 2,627 sf, while the Plantation Homes plans range from 1,500 sf to 2,482 sf. Home prices for the area range from about $200,000 to more than $600,000. 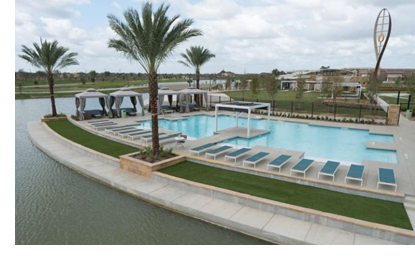 Rise Communities is developing the 2,700-acre community just south of Pearland.